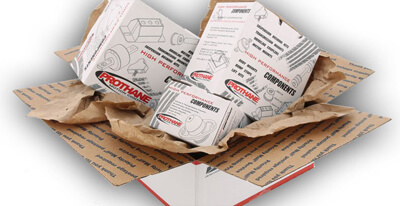 ProthaneSuspensionParts.com is an authorized dealer of the Prothane brand. Prothane guarantees their products to be free of defects and offers a lifetime warranty for all of their suspension products. 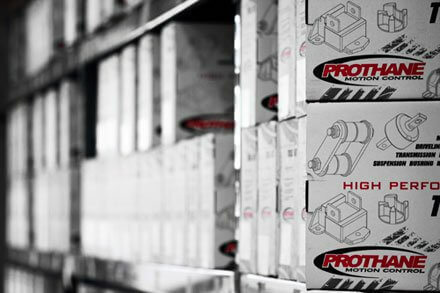 Every Prothane suspension part shipped from our warehouse in in brand new condition and is guaranteed to be manufactured and bought directly from Prothane’s factory in California. Each Prothane product is made here in the USA with high quality materials so you will never receive a knock-off suspension part in your purchase from us. Our Texas warehouse carries a massive inventory of every available Prothane product. We carry a minimum of one of every Prothane product available in both black and red. Rarely will a Prothane part be out of stock in our warehouse. In this case, our customers will receive their order directly from Prothane’s factory. Off brand products are never used as substitutes for out of stock Prothane parts in our warehouse. ProthaneSuspensionParts.com is owned and operated by Diverse Suspension Technologies, LLC. Diverse Suspension Technologies, or DST, is a wholesale warehouse distributor of Prothane. DST has been in business since 2003 and operates a warehouse in Stephenville, TX stocked with over a half million dollars in suspension parts. Diverse Suspension Technologies works exclusively within the market of suspension products. With our high capacity warehouse, we have more products readily available to ship to our customers than many other online dealers.